Olxam » GATE » Is it necessary to join coaching for GATE 2020 ? Is it necessary to join coaching for GATE 2020 ? “How do I prepare for GATE 2019 without coaching? What should be my strategy to start preparing for GATE 2019 self ? First of all best wishes to whom who did very well in GATE 2018. Who will get good rank in GATE 2018 will surely get good college for higher education and those who want a job with PSU will surely get selected in PSUs but those who don’t get good rank in GATE 2018 don’t lose hope world hasn’t end here. You have a great opportunity again to make it possible this time with a very good GATE rank, it is GATE 2019. Start your preparation again this time with little more effort, little more concentrate, little more dedication, little more better analysis and little more hours with study. So, candidates who wish to prepare self make a proper plan for rest of the days and stick to that until GATE 2019 examination. Those who are preparing self they need more dedication and concentration because you are the mentor of yourself, you are the examiner of yourself. So beside an aspirant, beside a student you are also playing a role of examiner of yourself. Candidates who can’t join any coaching or don’t want to join any coaching for GATE 2019 preparation must consider these points. 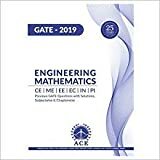 If you can get guidance from any of your senior or any of your friend who have cleared GATE previously, If you can arrange some good coaching institute material then you can prepare self for GATE 2019. About study material always remember not a single institute is always good in all subjects but you can arrange a single good study material as per your requirement by choosing from different-different coaching institutes. 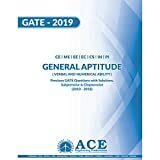 Must Read : How to start preparation for gate 2019 ? If you can manage someone who can guide you time to time then no need to join any coaching because coaching is for mainly save your time but many times it waste your time. If you are serious about GATE 2019 preparation and want to utilize your whole time and if you have studied well at your graduation level then no need to join coaching just sit on chair and start preparation. You may join any or many test series for last time preparation. I have seen many GATE topper who just read standard book and make in GATE top 10 list. 1. If we talk about any offline coaching institute then first thing is whether you want to join coaching in your city or in other city. If you can join coaching out of your city if your family and all other conditions permits than consider all coaching institute which can help you to get good rank in GATE 2019 exam. Living in your own city may help you in basic daily activities like food, cloths, travelling etc. So if you can prepare well at home then you must check any of good coaching institution available in your city. If there is no any coaching as per your expectations then you can join coaching other than your home city. 2. First of all get feedback from some students of a particular institute. You can choose as much as institute as much as you want for analyzing. Analyze experience of student about that particular institute, about their study techniques, study material, problem solving and explanation techniques and individually problem solving sessions like many students always can’t ask question is a full strength classes and they get no more benefits from joining any coaching institute it is like wasting your time while sitting in room like waiting room where you wait to end of the class time. 3. Select any coaching for your GATE 2019 preparation on the basis of your requirement and coaching institutes present performance. Do not choose any institute for study on the basis of how big this coaching institute is famous. Many students go with big name and they got nothing much like their name. So before getting admission in any coaching institute for your GATE 2019 preparation choose any coaching institute wisely because after all it is about your career, your whole one year, your dedication and also about your family because many students are there whose family depend on them or will be dependent very soon. So every decision of you depends upon many factors. We will update here time to time. You guys check this post regularly. Sir I got air 241 instrumentation stream without coaching i am thinking to give it again should i join any coaching. First of all congratulation for achieving good rank in GATE. 241 rank in GATE is quite good. It means who have basic knowledge of all subjects of your stream. 1. You need some rectification for your mistakes (which you have done in previous attempt). 2. You need some guidance for your rank improvement. These two are the main points as far as I can understand. # If you attend full length coaching for these points then you will waste your time for what you already know. # If you do not attend coaching then you need a mentor and/or guide. If there is some one who can rectify your mistakes and/or someone who can guide you then no need to join any coaching. If there is no one to guide you or rectify your mistakes then you must talk to coaching about your requirement then they will guide you as per your requirement and you need not to attend all 7 day classes for your preparation may they arrange weekend classes for your problems or daily problem classes for you. It will save your lots of time and stress too. Which in turn help you to improve your GATE rank. Thank you so much sir for your valuable information and replies to our comments. If your basics are not clear then first clear your basics give 3-4 days for each subject as per GATE syllabus. It will just take 30-40 days to prepare basics. I am in my 5 th sem of engineering and is planning for gate. I dont want to join coaching centers as i had quiet a good inside view of them during my hee coaching. But recently i found out about online coaching by Ravindra Babu Ravula , he offers online gate cooaching . I am just confused shall i join it or not ? but i like his teaching and fully understand it. Please help me out. My state caste is obc but I came to know that central government recognizes as genral category. I have state caste certificate. Will you please tell me where I can make a legal caste certificates for GATE. i am in 3rd year of b-tech mechanical.i want to prepare gate as well as ies .what procedure should i follow to achieve my aim.i ll prefer self study as compare to coaching. As you said you are in 3rd year so here you need to maintain your college study as well as GATE 2017 preparation. Remember first importance give to your engineering then GATE 2017 preparation. Dedicate 3-4 hour daily for GATE study in this short period you can only solve previous papers. So start your GATE 2017 preparation with solving GATE previous papers and this is the only best way for you right now. I am a mechanical engineering student and completed second year. I am interested in taking Gate exam and I am planning to join a coaching centre. Will you please tell me when is the right time to join coaching. 3rd year of engineering bcz when you completed your 3rd year of engineering you have studied almost 80% subjects mentioned in the GATE syllabus. thank u so much sir,for priceless information. Thank u so much sir, for priceless information. Coaching material are for guidance. If coaching material would be enough for getting good rank in GATE then atleast every candidate who join coaching / have coaching material atleast qualify GATE with atleast qualifying marks but its not true. Rest you think yourself. You are going to prepare an exam in which every year nearly 10-11 lakh candidates appear and only 15% out of these qualify GATE. It is necessary to join coaching classes. Joining a coaching or not is totally depends upon you. 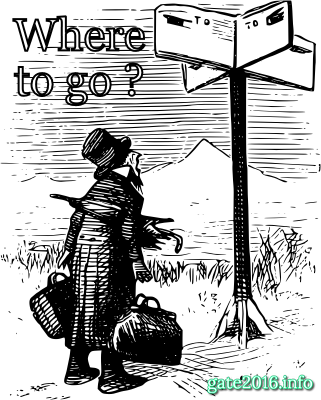 Analyse your self then decide yourself that can I prepare self at home or I need a guide. Is it necessary to join coaching for GATE 2016 ? Thanks for such great updates. I wanted to know which stream I should give my GATE in knowing I have keen interest in manufacturing , mgmt and not thermodynamics , fluid mech. So , should I write PI or Mech? If you are preparing GATE 2016 only for job in PSUs then you must go with Mechanical Engineering. Because there are very less PSUs which allow PI GATE qualifiers. After reading this post, you will know easily how good Mechanical is compare to PI while we talking about PSUs through GATE. If you are preparing GATE 2016 for Masters or P HD then you may choose any of these as per your GATE 2016 score and interest. Hats off to you for these type of great efforts and guidance as they have cleared many of my doubts.. I am doing my job and hardly getting 4-5 hours other than doing daily routine activities. . I just want to suggest could you please make a group in whats up where people may get connected…and can share their ideas.. Although your website alone is sufficient. Currently we are not managing any whatsapp group for any of our website. Whenever we will make any such group we will post the complete information on our FB page as well as on this website. Thanks for your suggestion.